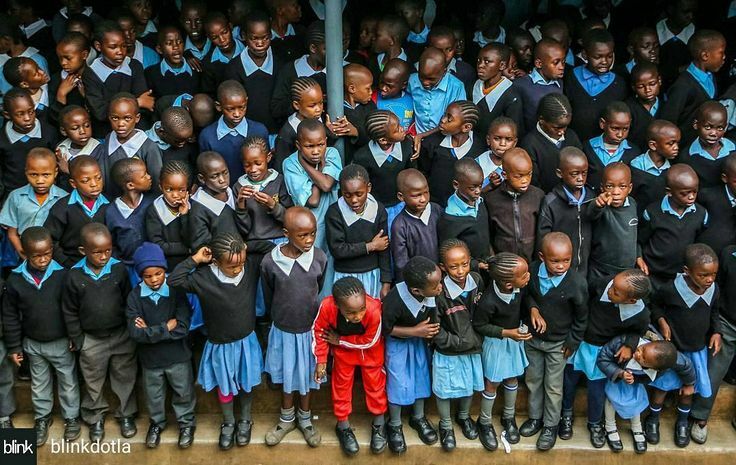 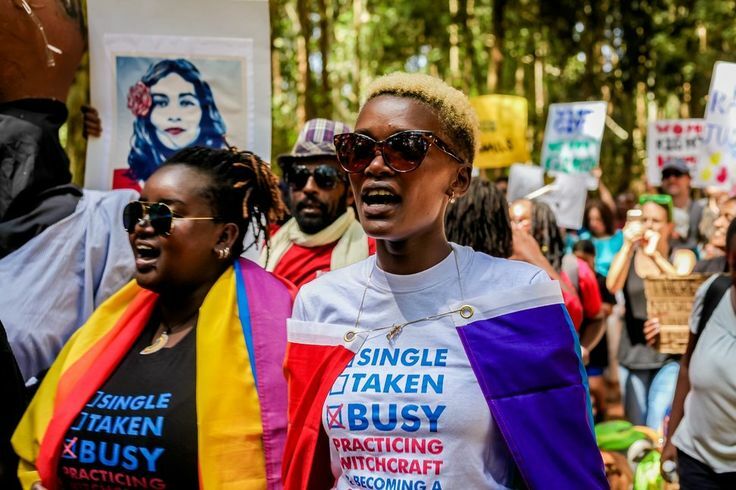 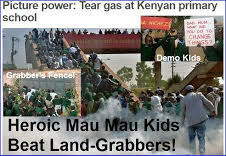 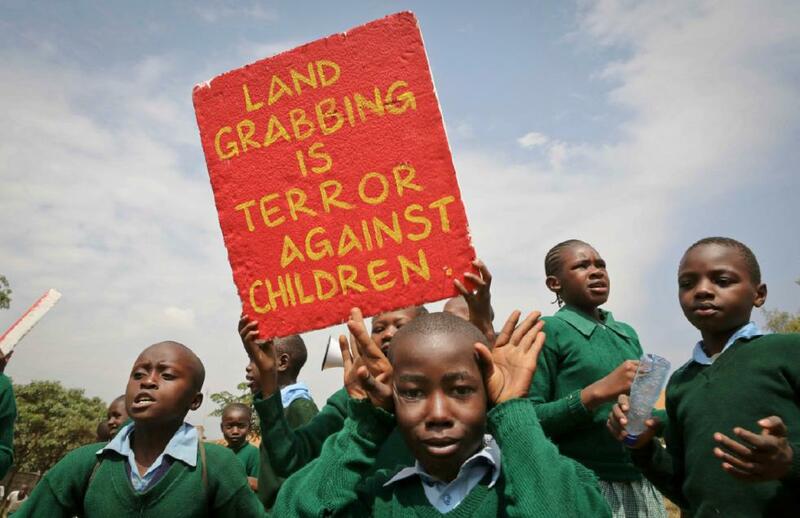 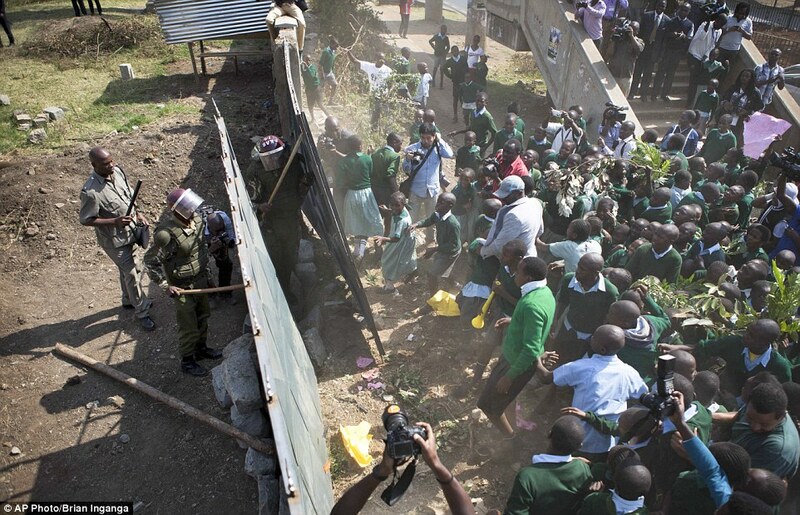 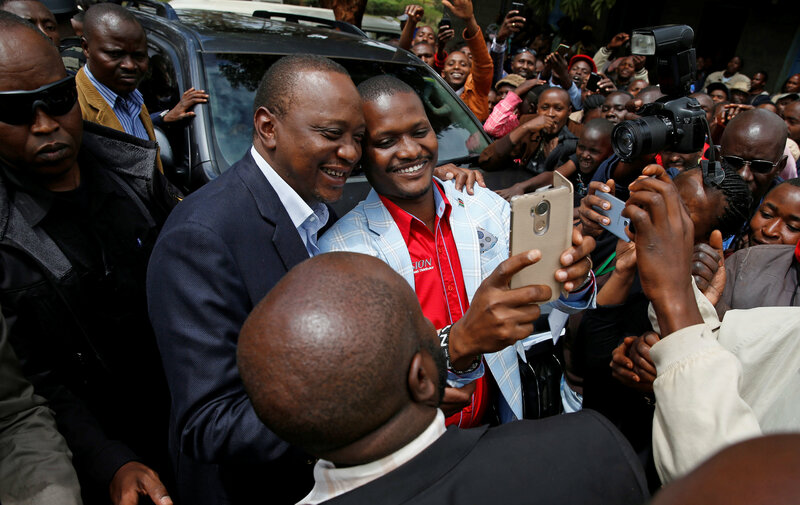 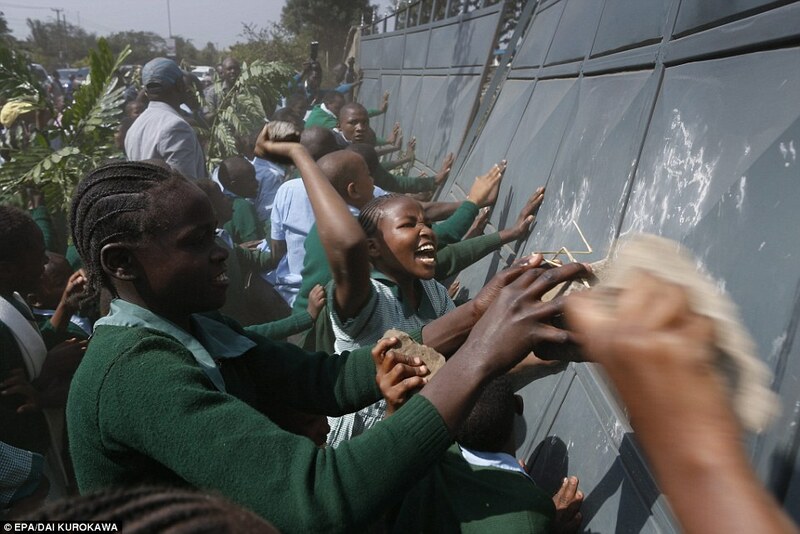 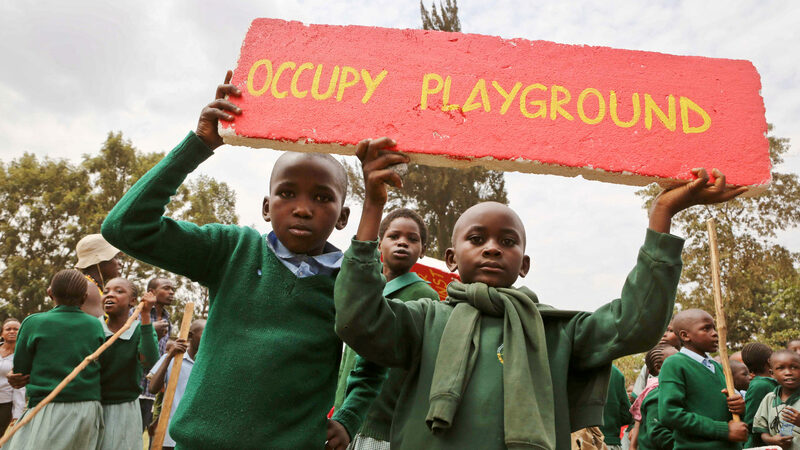 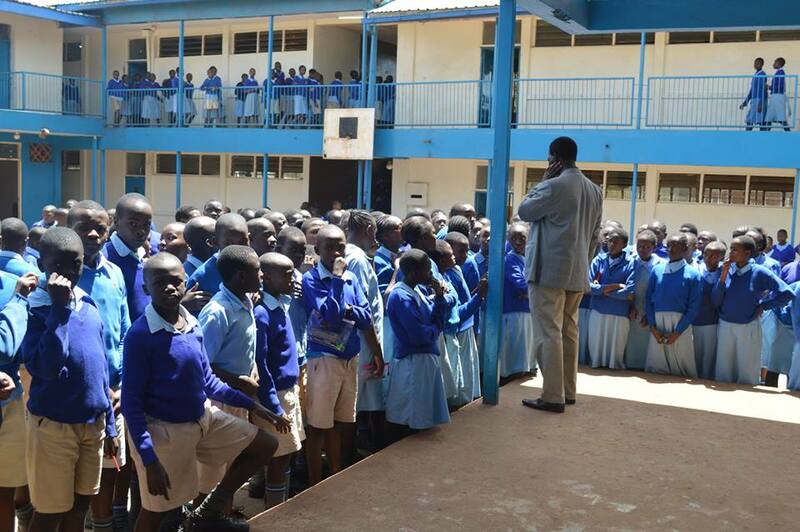 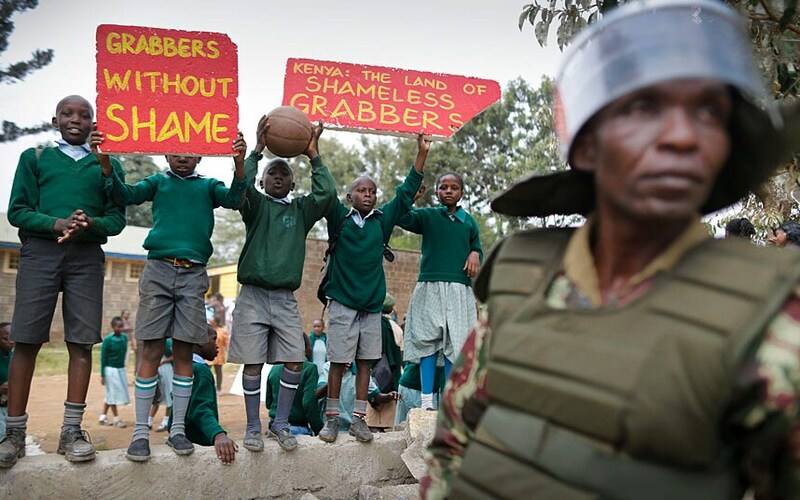 Something of a revolution is taking place in Kenya, thanks to kids from Langata Primary School in Nairobi. 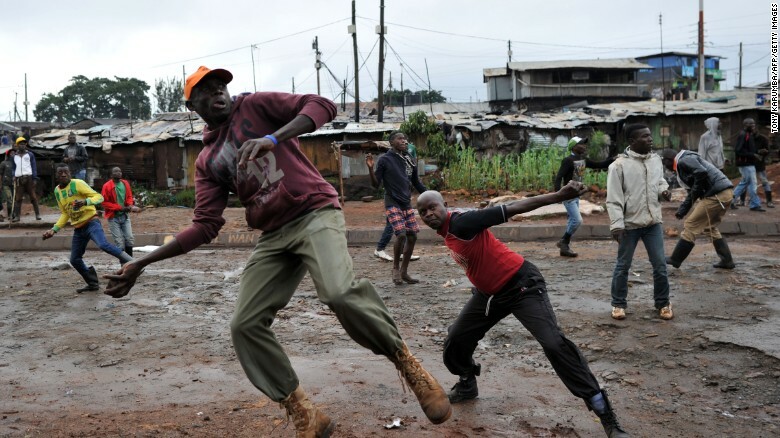 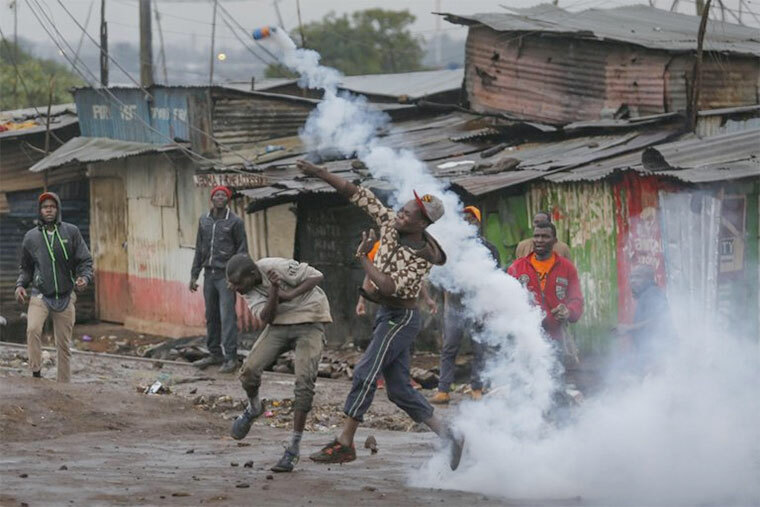 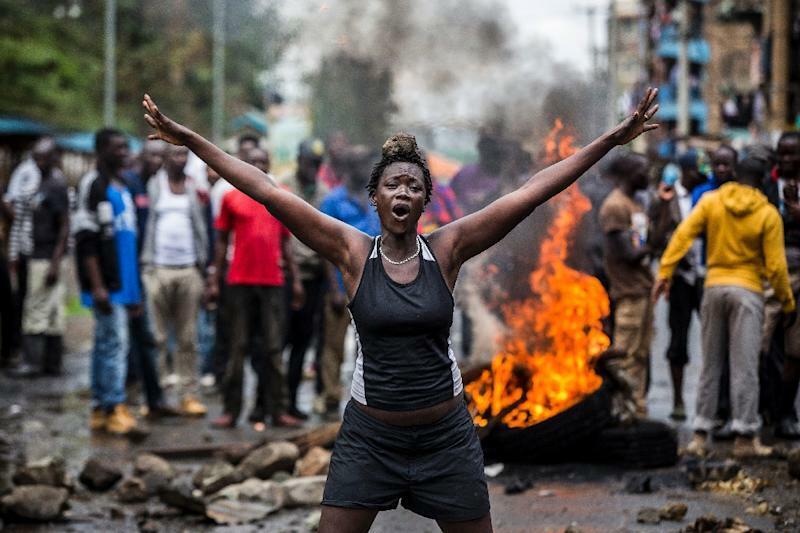 ... himself with water to dissipate the effects from incoming tear gas canisters during stone throwing confrontations with police forces in Kibera, Nairobi. 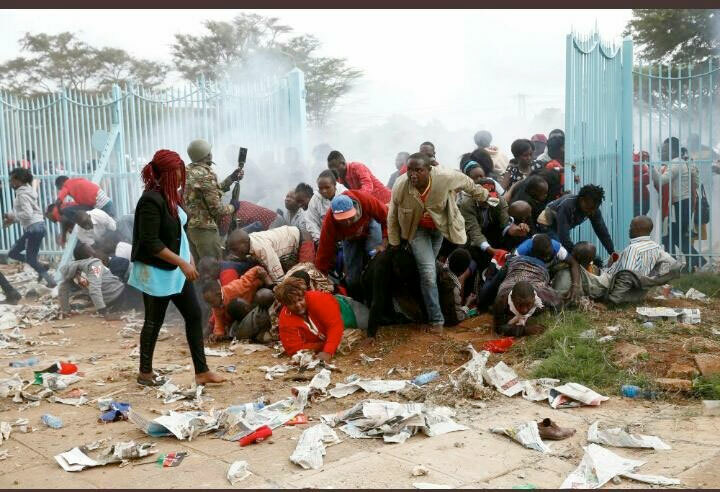 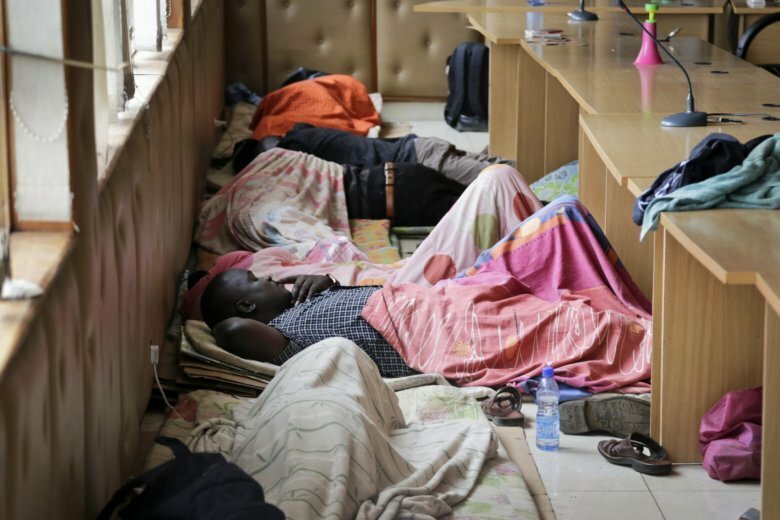 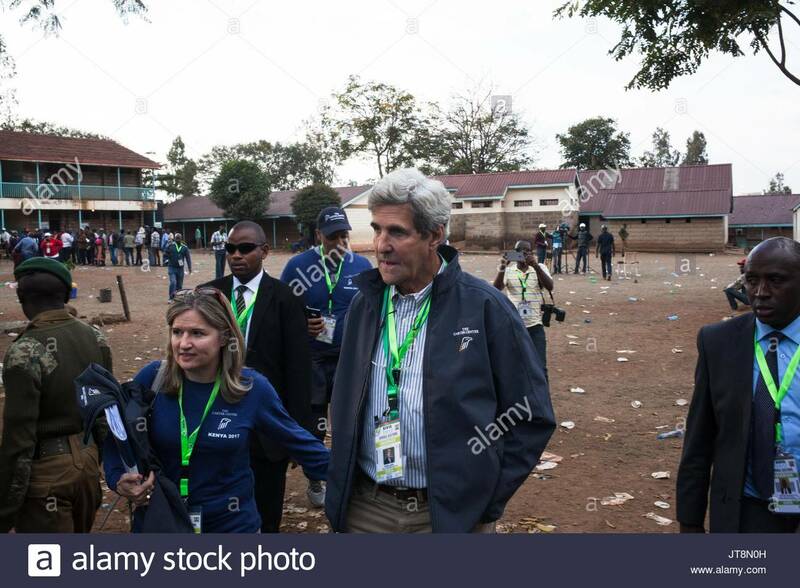 ... April 27, 2018, non-Muslim teachers who had to leave their posts camp out in the headquarters of the Kenya National Union of Teachers in Nairobi, Kenya. 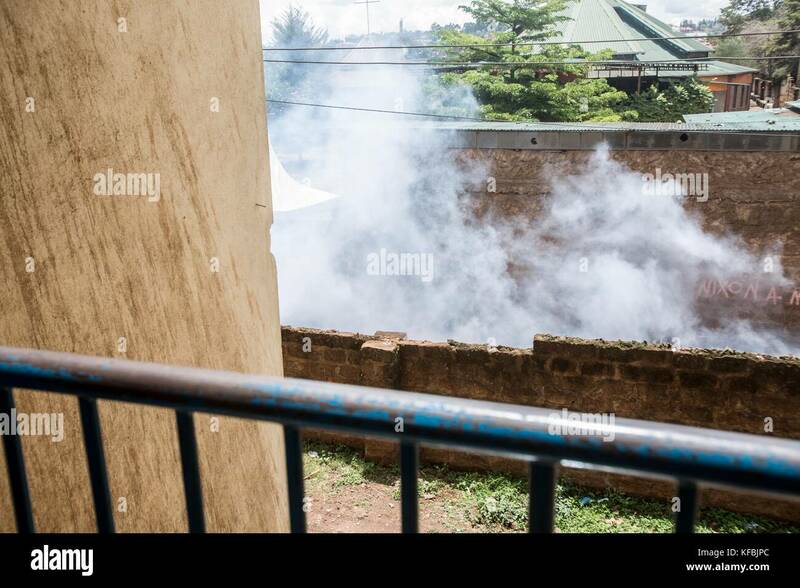 Protesters scramble to take cover from incoming tear gas canisters during stone throwing confrontations with police forces in Kibera, Nairobi. 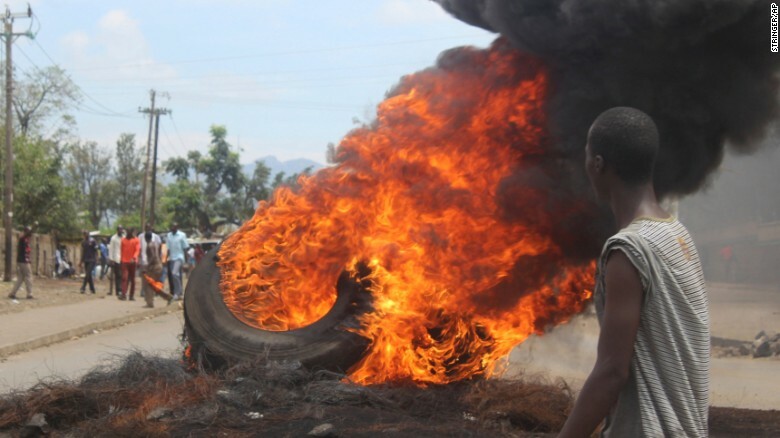 Opposition supporters burn tires during protests in Kisumu on Thursday. 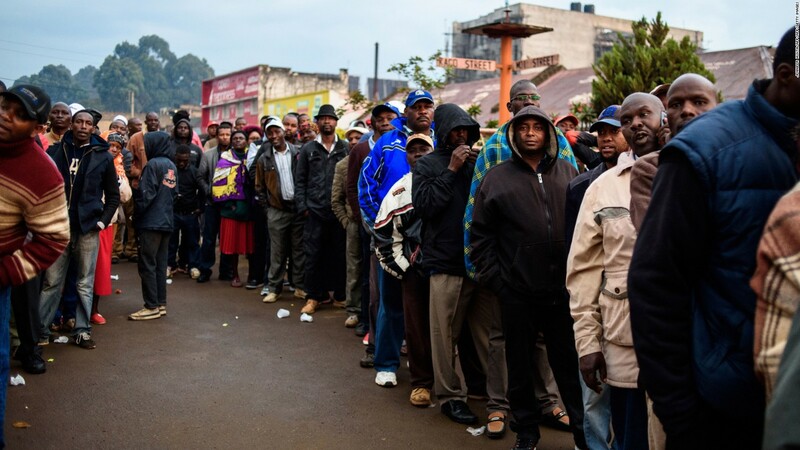 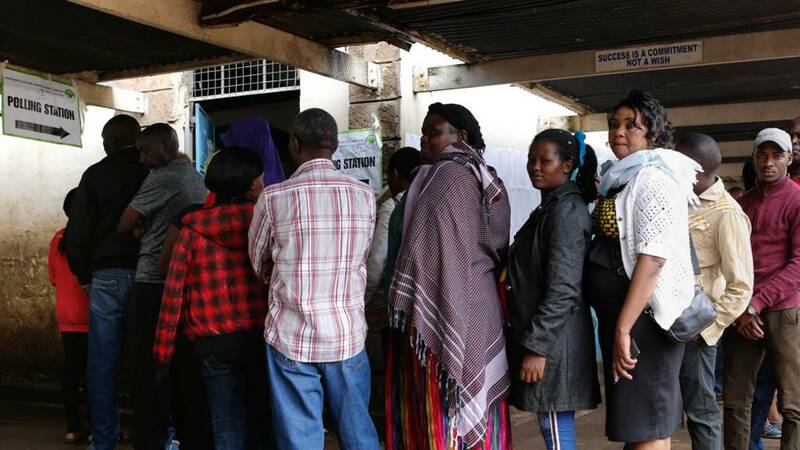 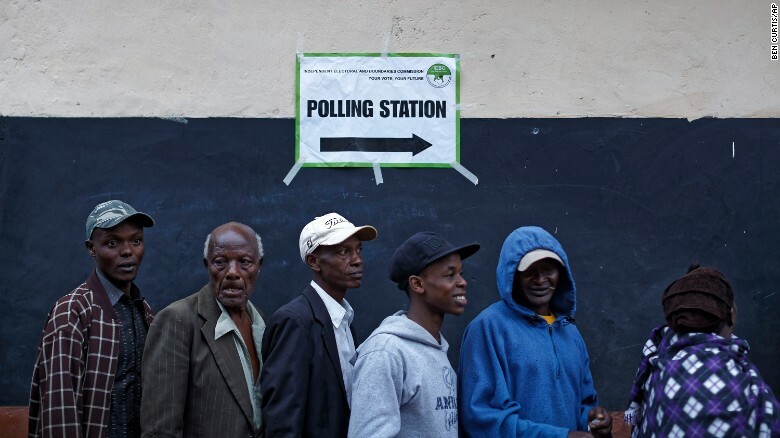 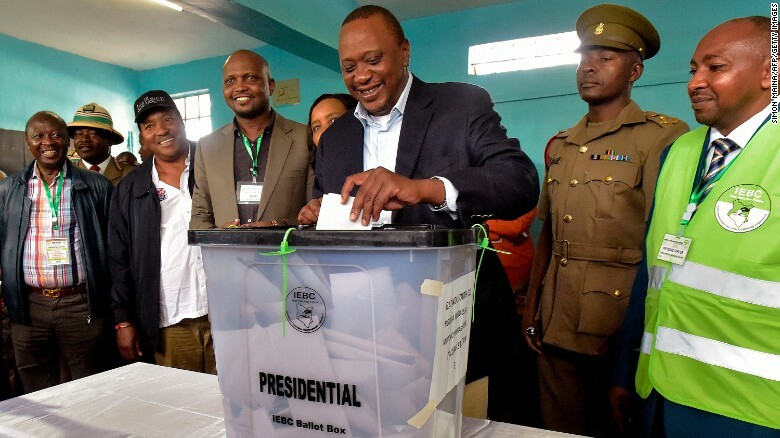 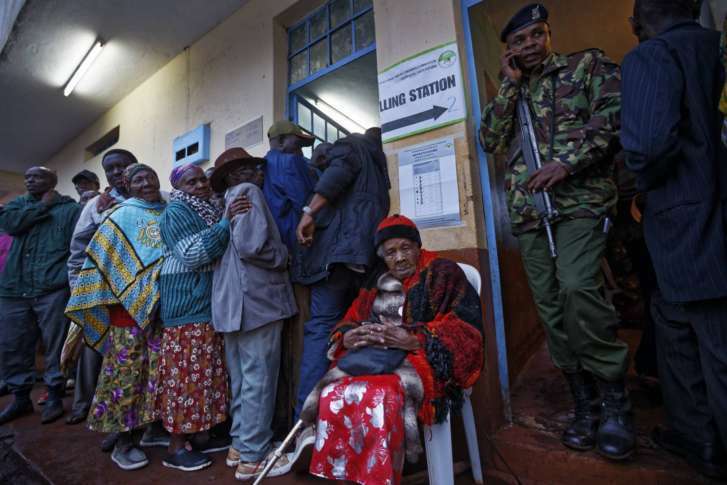 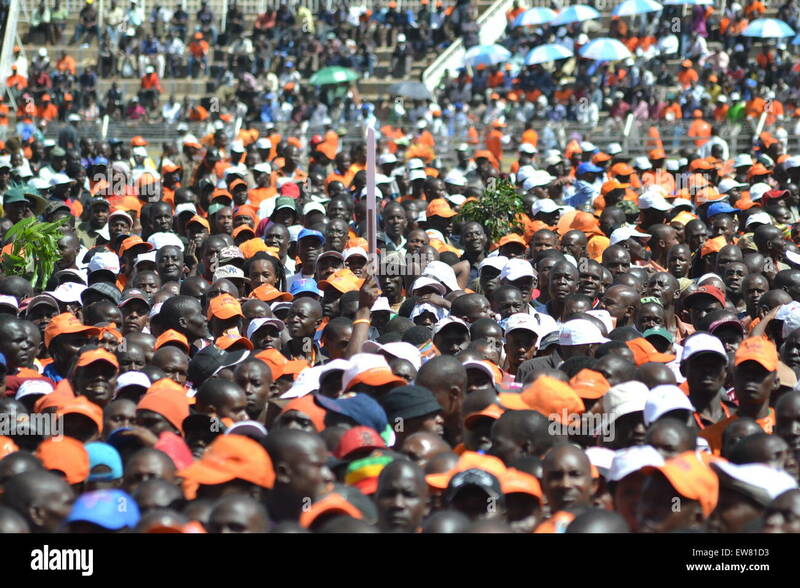 Kenyans queue to vote just after dawn on Thursday. 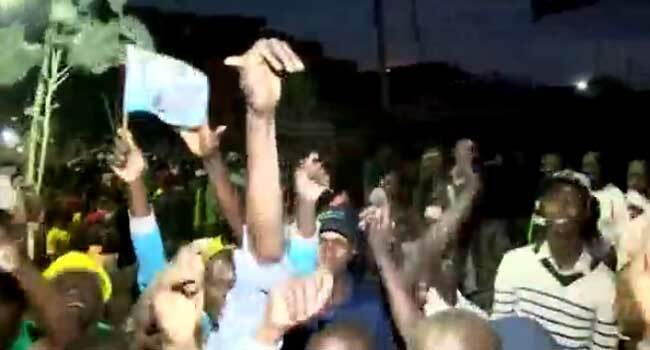 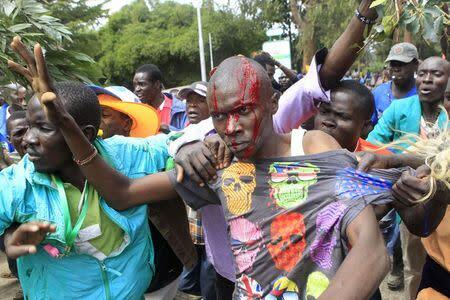 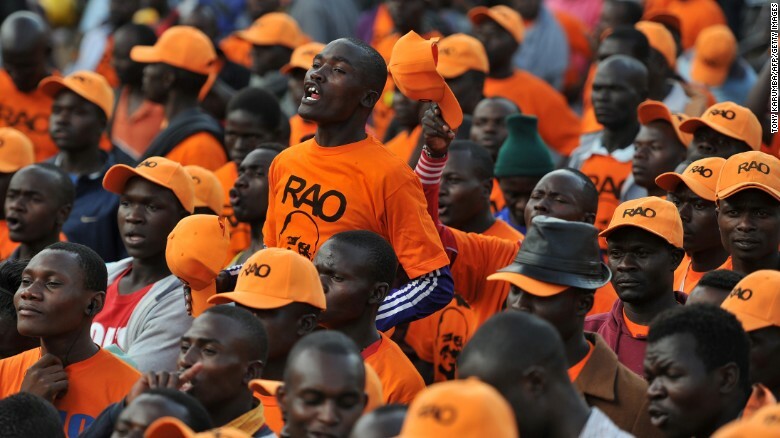 Nasa supporters gesture towards Kenyan riot police as they wait for the re-elections results on October 30, 2017 at Kawangware in Nairobi. 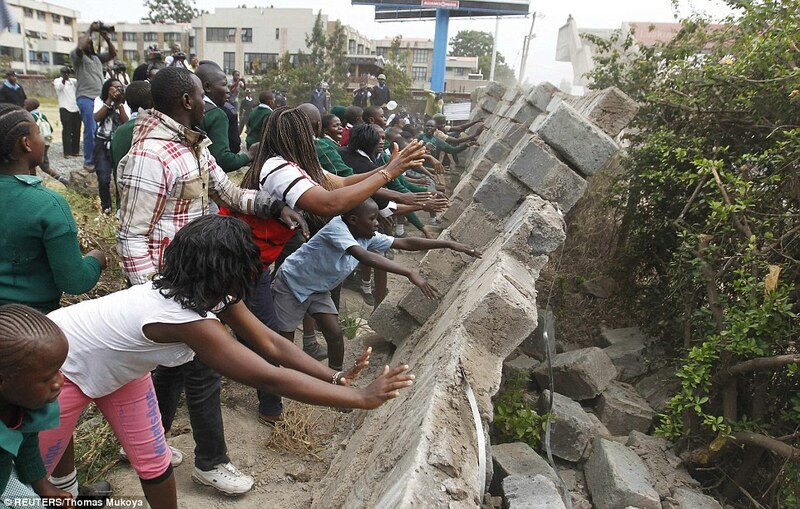 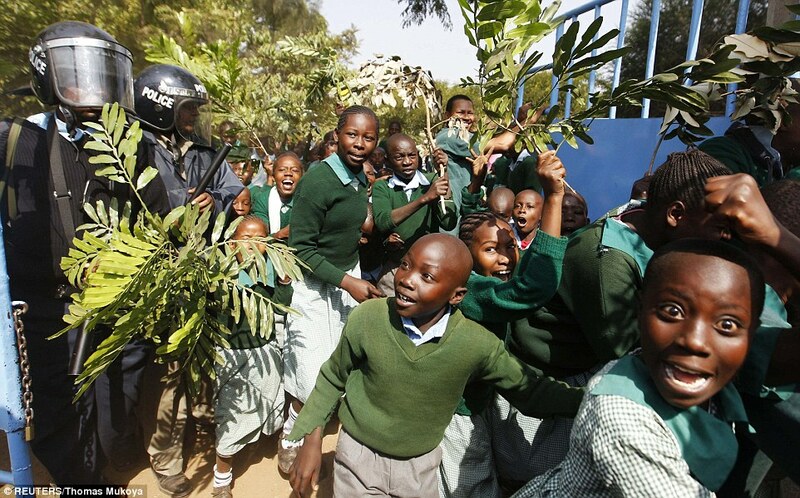 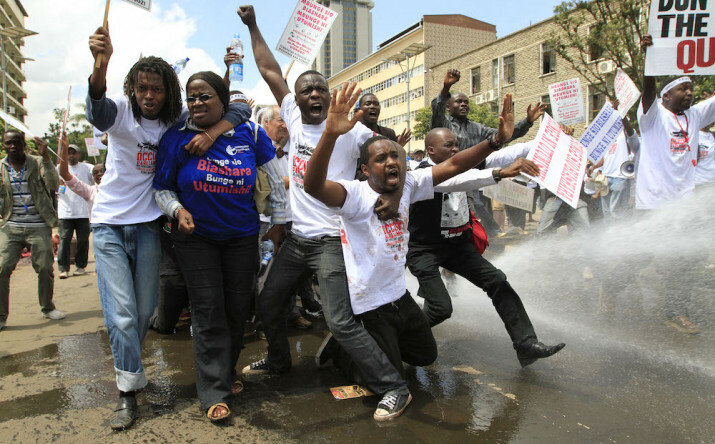 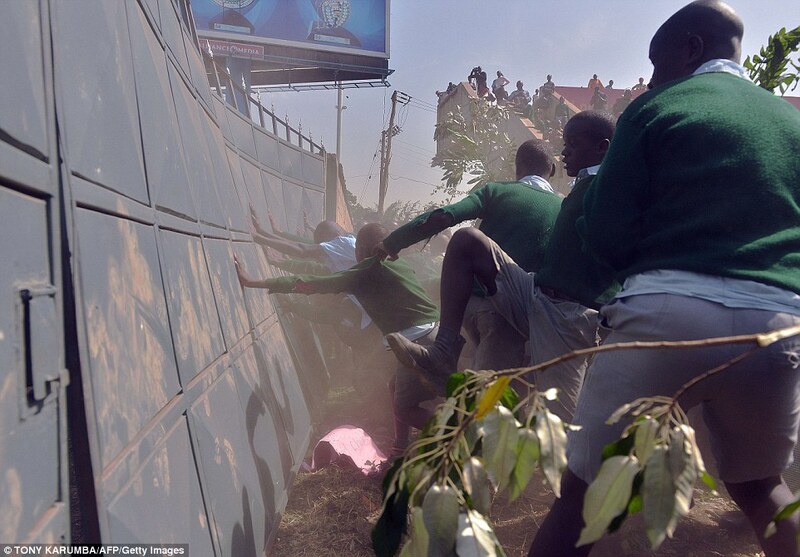 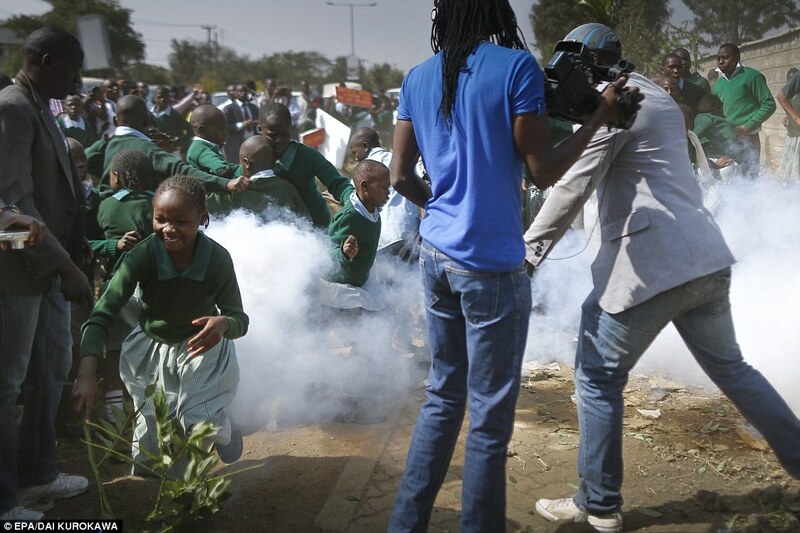 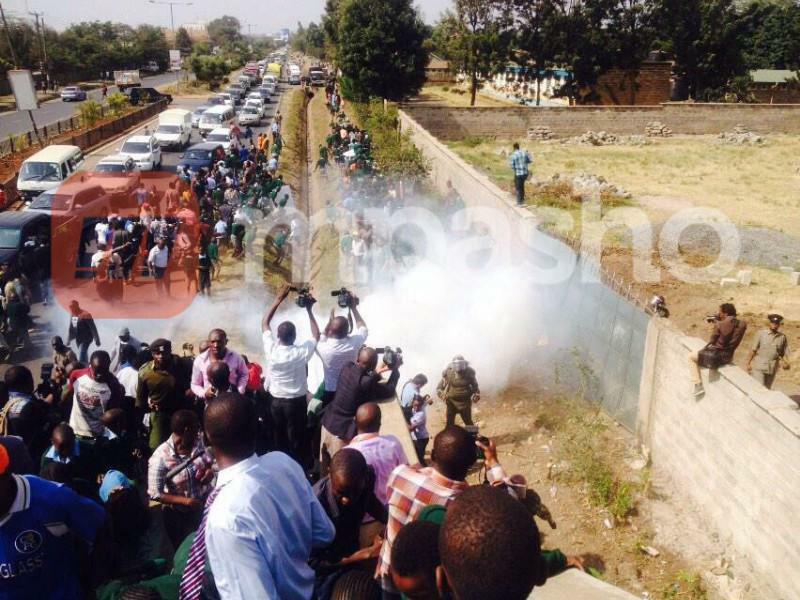 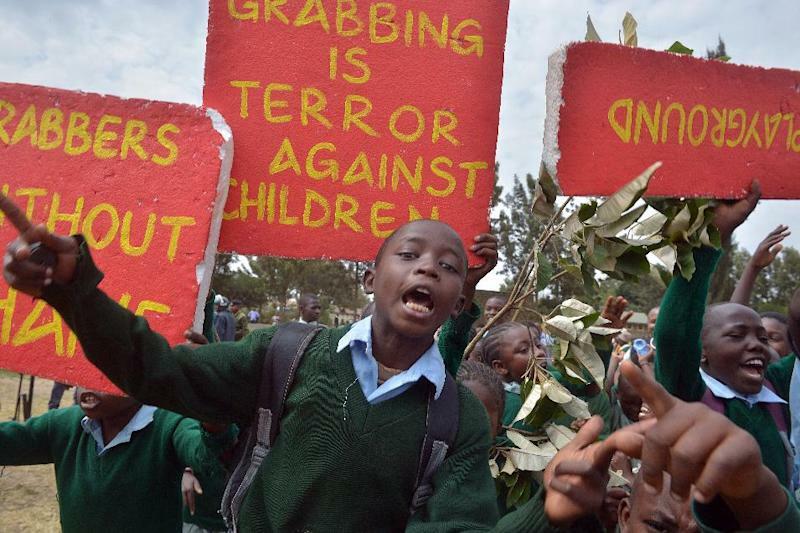 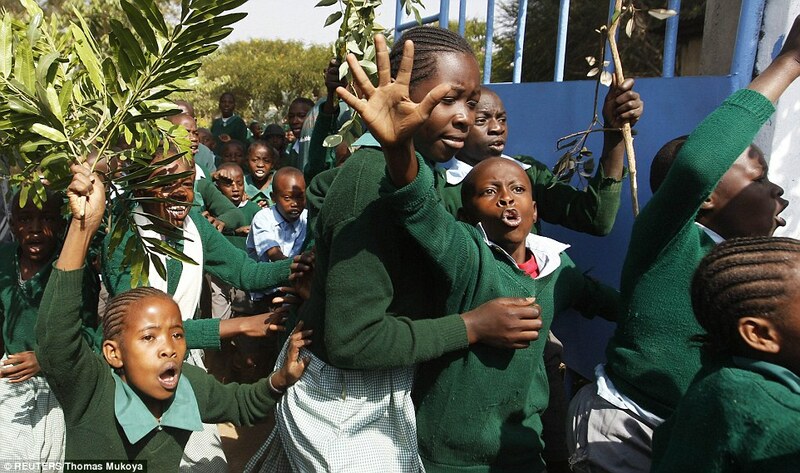 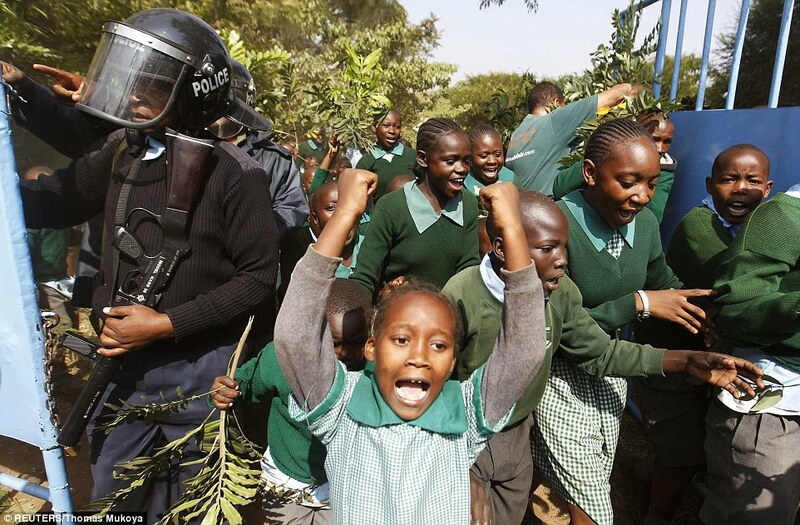 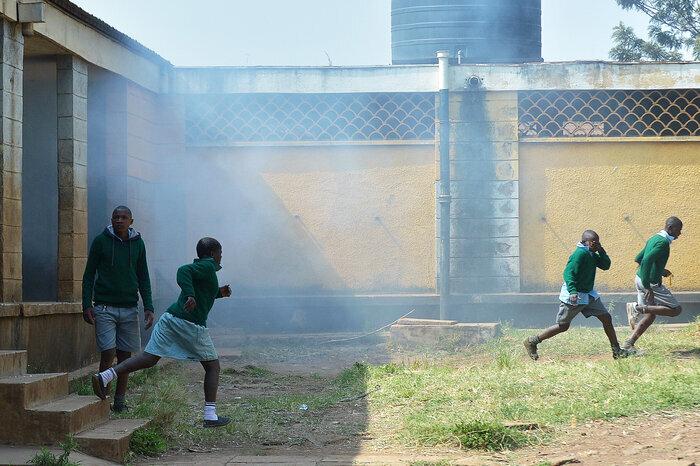 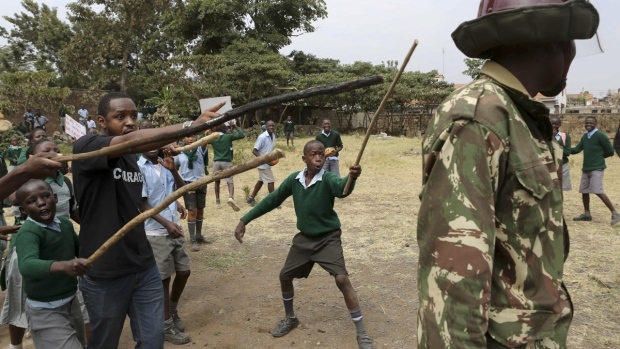 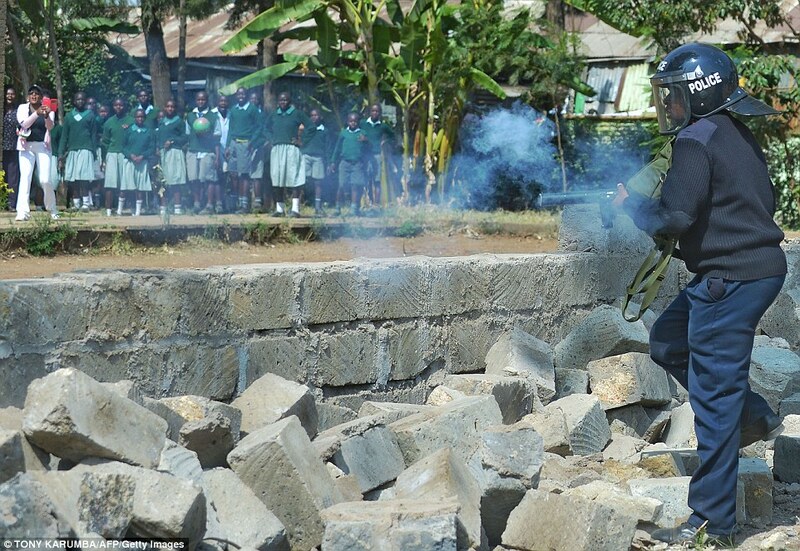 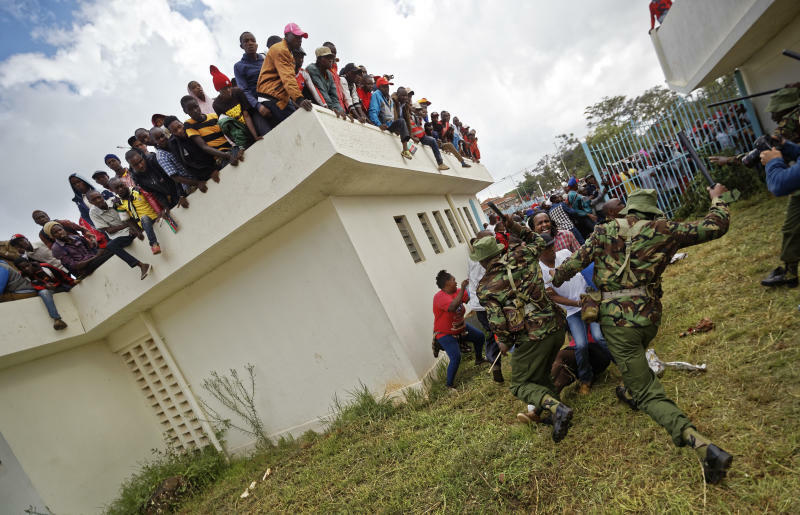 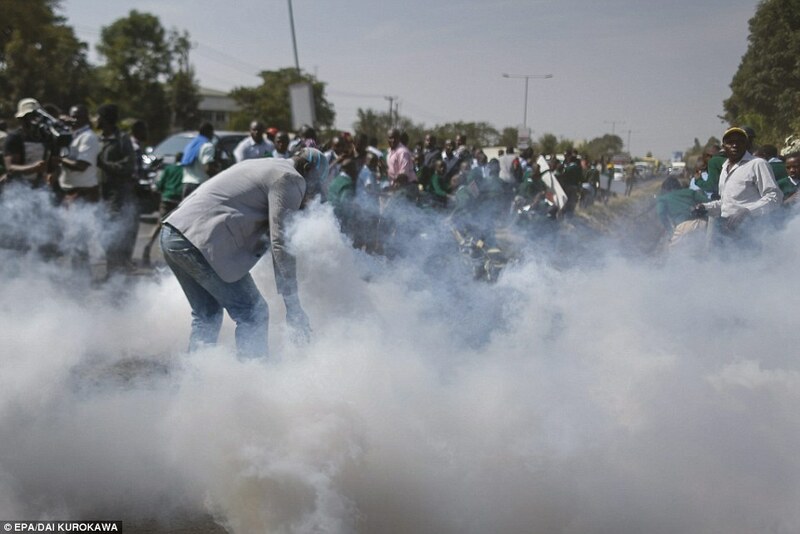 Children flee tear gas after police tried to disperse the crowd of demonstrators Monday at Langata Road Primary School in Nairobi.